Butterfly Reflections, Ink. : Be Merry Florals - 4 Ways! 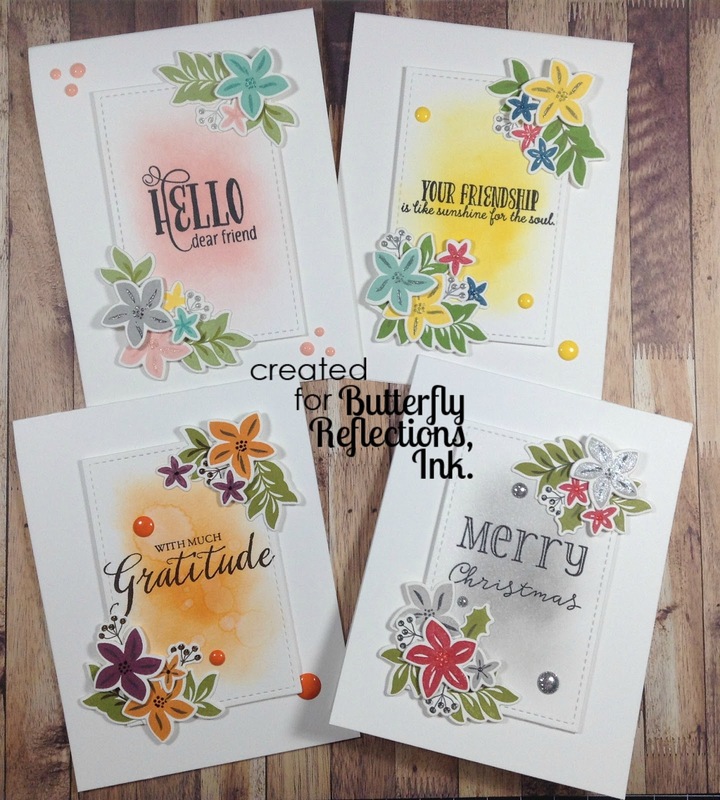 Be Merry Florals - 4 Ways! Hello everyone and welcome back!! Today I'm back with not one, but FOUR cards for you today!! This is the first time I've made multiple cards at once. I wanted to see how I could take a Christmas stamp set and use it for all four seasons. I got my WPlus9 winter release order (in super fast time, I might add!) and couldn't wait to play with it! 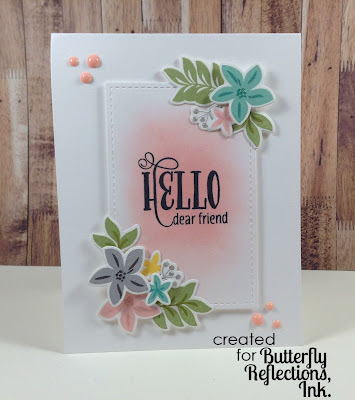 I was in the mood to do some good ol' fashioned stamping and die cutting so I decided to use the Be Merry Florals stamp set and Be Merry Floral Dies. This is a little set that is packed with the sweetest floral images, including some layering stamps! I used the same design for each card. The basic A2, top folding base with a small stitched panel using the 4 Bar Stitched Rectangle Die Set. 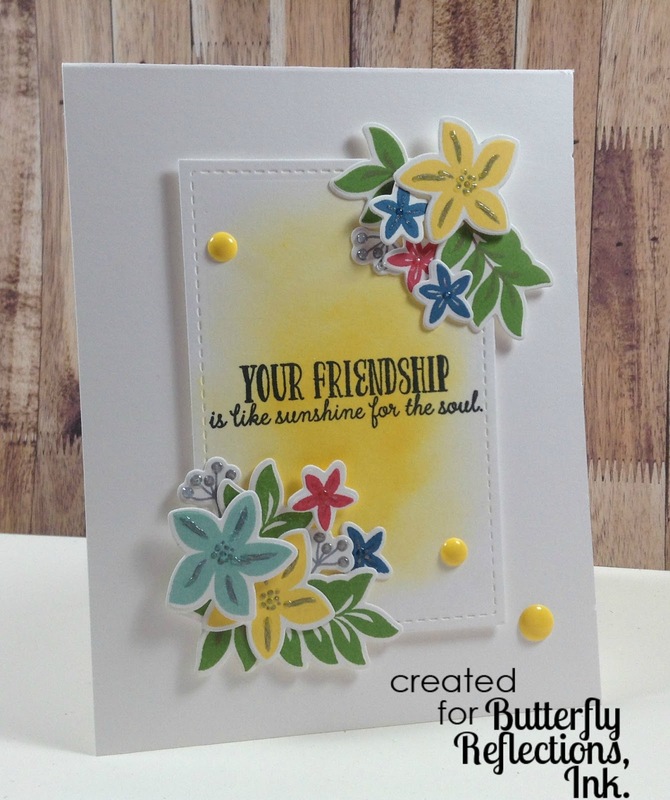 I stamped and die cut the images in four different color combinations: Spring, Summer, Fall and Winter. I prepared the stitched rectangle for each card by lightly ink blending one of the colors I used to stamp the flowers. Then, went through my WPlus9 stash and picked out some sentiments that I thought would go with each season. 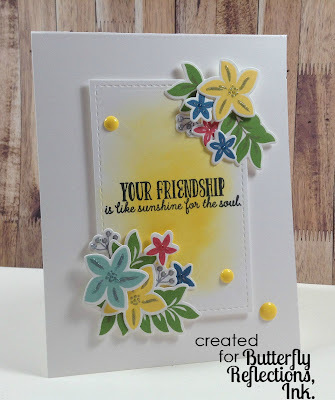 I stamped the sentiments using my Mini Misti in Memento Tuxedo Black Ink. I LOVE THE MISTI!! Especially when I have to double stamp!!! I'll first show you all the cards together, then each one on its own!! This is my "Spring" Card. Shades of pink, grey, teal and green. Sentiment is from the All Year Cheer stamp set. Used the Bubblegum Blush Nuvo Crystal Drops to finish it off!! "Summer" card. Brighter greens, yellows, darker blues and a vibrant pink. I used the Garden Buddies set for the sentiment. Those vibrant yellow enamel dots are from Echo Park, Happy Summer. "Fall" card. Oranges, purples, browns and greens. Did a little water droplet action on the background and used orange enamel dots, also from Echo Park, Happy Summer. 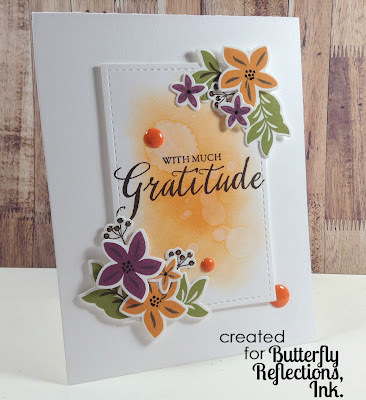 The sentiment comes from the Grateful Greetings mini stamp set. And finally, "Winter"! What this set was made for. I used grey, red, green and black. 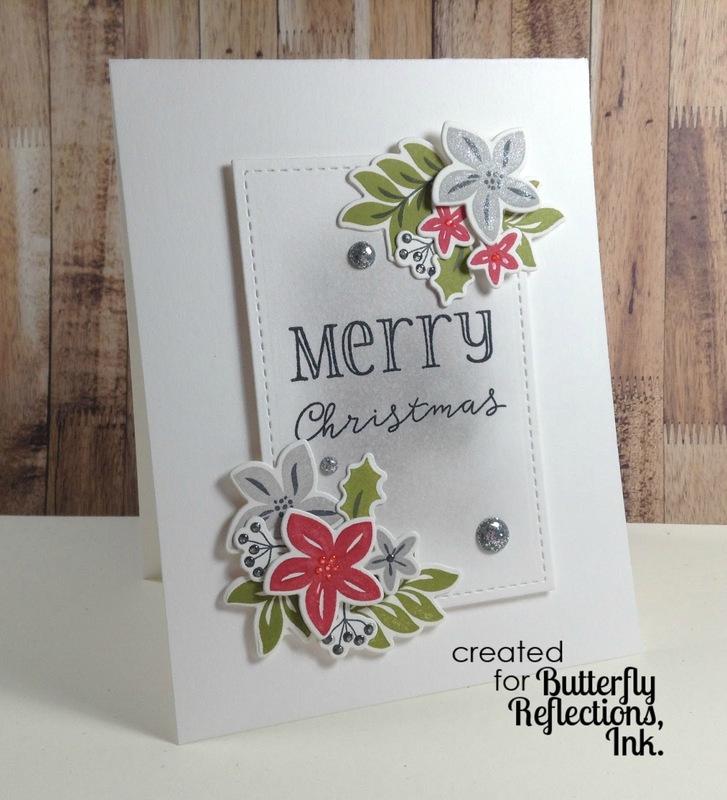 The sentiment is from the new Be Merry Sentiments stamp set. To give a little extra sparkle to this card, I used the amazing Silver Tinsel Gumdrops!!! Swing by the shop and check out all the fabulous new releases Vanessa has in stock!! Thanks for stopping by and have an amazing week!!! Great set, Laurie! Love it! Thank you so much, Vera!! Awesome set of cards! These flowers are gorgeous! Oh wow!! This is so cool! !